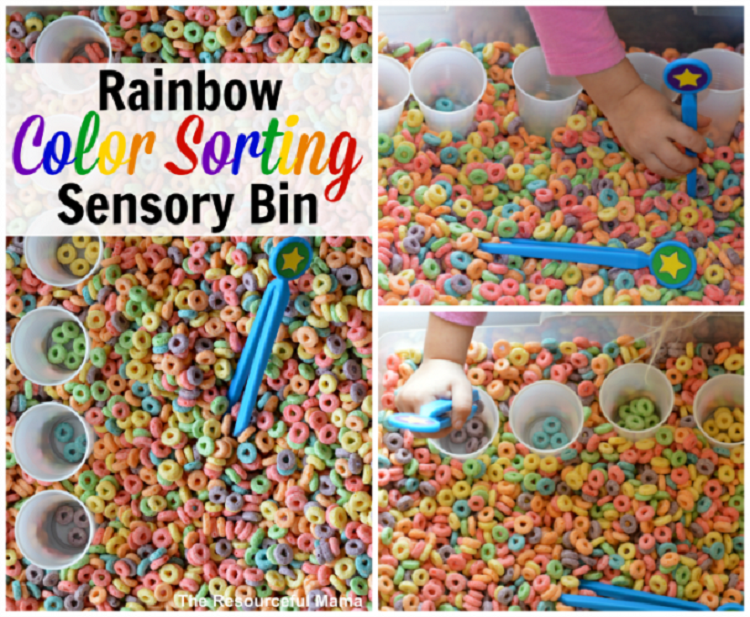 Another idea to learn color sorting, especially when the weather is too cold to play outside. Suitable age: 6 months to three years old. This activity was created by The Resourceful Mama . Teaching Colors with Mega Blocks Teaching color is difficult in kids early ages. But you can teach color with mega blocks.